Our Best Answer - Is there a health center on campus? Health Services, part of Student Health Services (SHS), is located in Bldg 46 - a short walk up University Drive from the center of campus, across from the College of Environmental Design-Bldg. 7, and next to parking lot J. The Center is a fully staffed ambulatory care facility (which means that you have to be able to walk in unassisted). The Center provides high quality and convenient basic medical and educational services, including a pharmacy, laboratory, and x-ray departments. Most services are covered by a mandatory student health fee. Operating similarly to a family medical clinic, SHS places an emphasis on preventive medical and health education programs to help you stay healthy and fully productive in school. 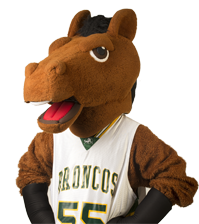 A wide range of services are offered to you, including early treatment of illnesses and injuries; diagnostic and preventive care; and health promotion programs/outreach services through the Bronco Wellness Center. For more information, click here. How do I make an appointment with Student Health Services? When is Student Health Services open? Where is Student Health Services?